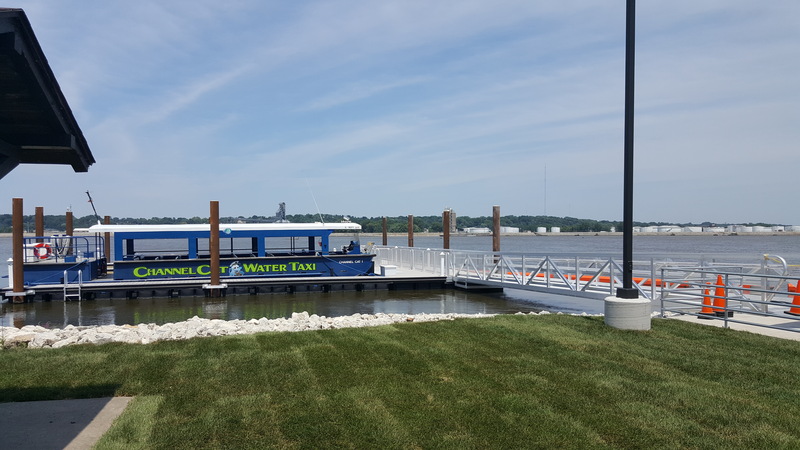 For this project we were hired to design and build a 3 bay dock for MetroLINK's Channel Cat ferryboats, install a pedestrian bridge and the associated site work along the Illinois side Mississippi River Front. The dock structure was a design-build delivery. 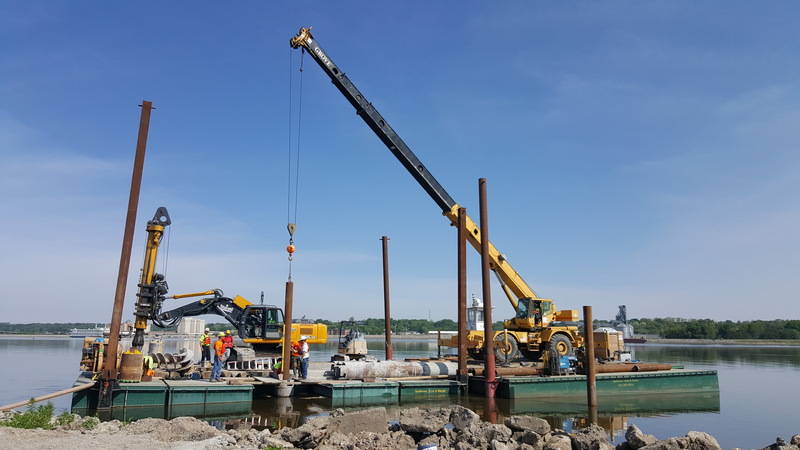 It includes 10 drilled and cast steel mooring piles, a 4000 SF boat dock with 3 bays, and perimeter railing. The dock has a 50 foot gangway extending to the concrete landing along the shore. The dock also has a 130 foot debris screen to catch floating debris from the river flow. 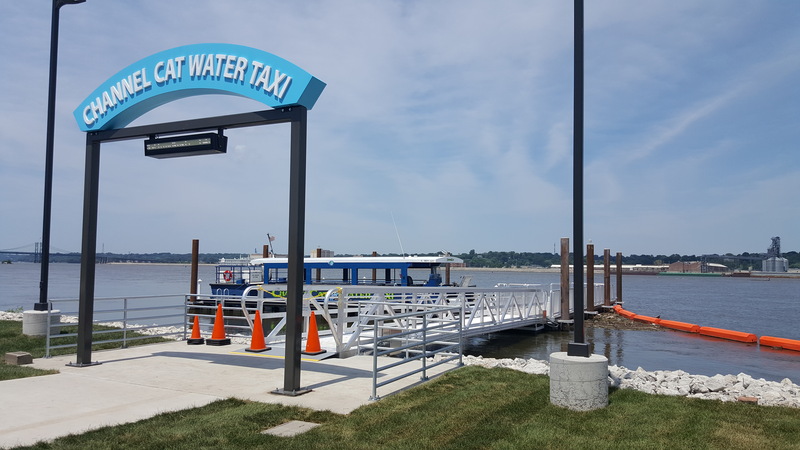 On the landing we installed a "real-time" information sign structure which provides passangers updated information regarding ferryboat departure times. 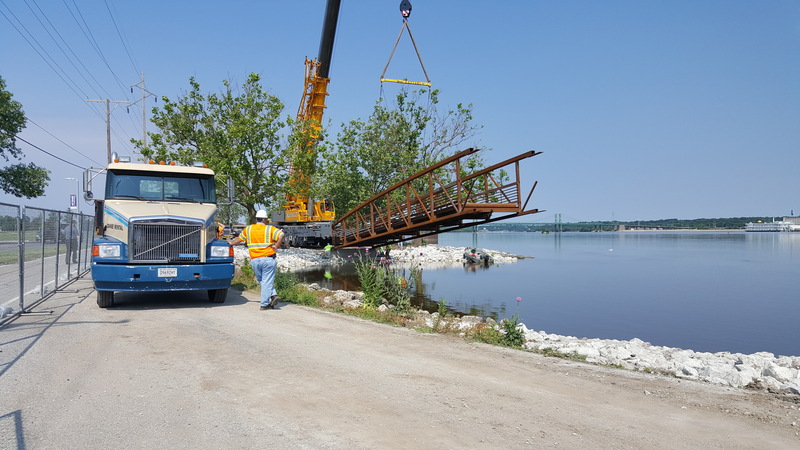 Also included in this project was the installation of a 130 foot pedestrian bridge. The bridge installation re-routed the existing bike path out of the adjacent parking lots. 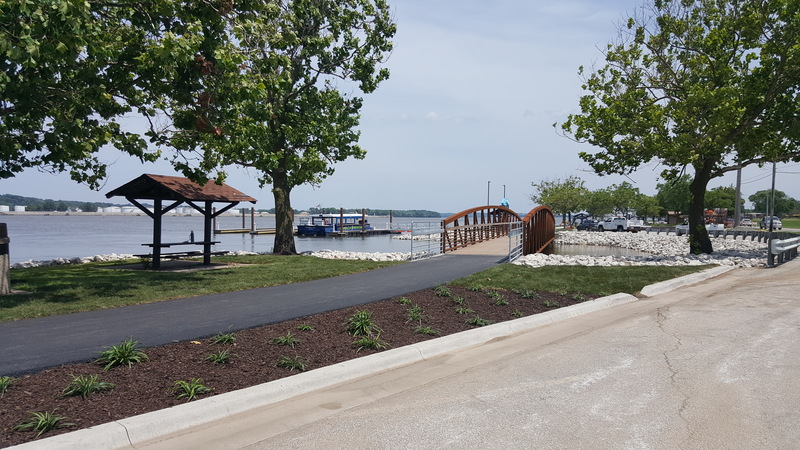 The sitework included curb and gutter installation, hundreds of tons of Rip Rap stone along the river banks, guard rail, hand rails, concrete pads, site lighting, and asphalt bike path. The construction duration for this project was just under 3 months and was opened in July of 2016.